1. Read their blog post about an issue that they're having. 2. Think of some meaningful advice that you can give them. 3. Write your advice in the comments section of their post. I came up with this idea one day when I was browsing through teaching blogs and thinking, "Wow, everyone seems to have it so together!" It got me thinking about how much I've learned from teachers sharing what's working in their classrooms, but how great it would be to get advice from other teachers on things that aren't going so well in our own classrooms? Everyone has such wonderful ideas, so why not share the love?! Some possible issues that you may want advice about include: organization issues (how do others organize their guided reading binders), whole school related issues (how do you keep the cafeteria noise level down? ), student issues (how do you motivate a student who isn't easily motivated? ), etc, etc, etc. 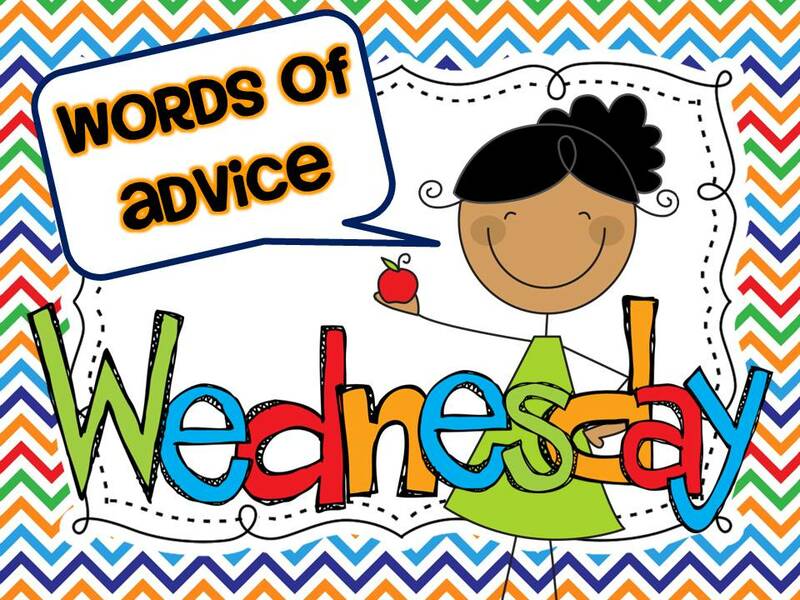 As teachers, I'm sure we ALL have things that we would love advice on! The turn-in basket. It is a MESS. After 7 years of teaching, you would think that I would've developed some sort of system for collecting and organizing papers that are turned in. Just looking at this basket (next to my desk) gives me anxiety. I keep thinking to myself, "There's got to be a better way!" but I honestly just have no idea. I would love your advice or tips on how to keep your finished work basket manageable. Do you take the papers out each day and grade? (ha!) Do you use some sort of organizing folders for each student to turn their work in? Please share your ideas because I would love to figure out a way to make collecting work more manageable! Okay, now it's your turn! What do you need advice on? Link up your blog posts and get ready to receive some great ideas! I'm super excited to join this kind of a linky. As a new teacher it's always great to have other people give new and helpful ideas. What I've been able to do is to always have trays designated for each subject area. I collect them at the end of the day and file them into my teacher bag, that has some hanging files that each have a label for the subject the paper will be graded for. It works pretty well. Here is the pin from Pinterest that inspired my organization system. Ugh - my Finished Work bin is always overflowing. I get to the point where I pick through and throw away the papers that don't seem as important after they've sat there for a week. (OMGosh - I know that is a horrible thing to do - but I'm just being honest). Sometimes center work just gets too overwhelming to check over, but I want my kids to still be accountable. I flip through and check off with a checklist so that work is accounted for and toss some away. I really don't do that very often, but sometimes I have to. Otherwise, now I am trying to have students bring me their center work at the end of centers each day. We have silent reading time and they come up. I do a quick check and send them home. I check for good effort most of all and then of course for understanding of concepts. It really only takes about 5-7 minutes and then it's done. I HAD to build this into my schedule so I could avoid the first alternative. I am anxious to hear what others do. I plan to come back and link up when I have a good question in mind --- you stole mine. LOL! Thanks for a great linky! I'm also having a linky over at my blog right now. Linkies are fun!!! I wanted to tell you about the system I use. I have the kids turn all their work for the day into a folder. At the end of the day I collect the folder and sort all the papers. This way all the papers are now in number order and all sorted. I am also able to see who did not finish any work. Those students take that work home and finish it. I hope this helps some! I am you newest follower and can't wait to explore your site some more. My students sit in groups. Each group has a two foot bookshelf in front of it. They turn in their completed work on top of their bookshelf. Then I go though and pick up papers periodically throughout they day. I also, grade/check work off as the day goes along as well. For example, while students are doing morning warm up work, I will check and log in homework. After lunch while they are doing their reading warm up, I go through and check math seat work. After school I will go through language seat work. If there is an assignment I would like them to see how they did, we will grade it together and then they will turn it in for me to review. This system has really seemed to help me this year stay organized and avoid the "paper trap." In the past, I have been guilty of trashing work I hadn't gotten to because it was the "easier" thing to do at that time. I also feel like I have more of a "pulse" on my students learning because I see their errors on a daily basis.